For most of its seventy years in British and Irish High Streets F.W. Woolworth had guarded its secrets closely. From their first day it had been drummed into every trainee that divulging details of the Company's inner workings would be considered to be theft and treated accordingly. In most businesses nothing is more secret than the strategy for the future. 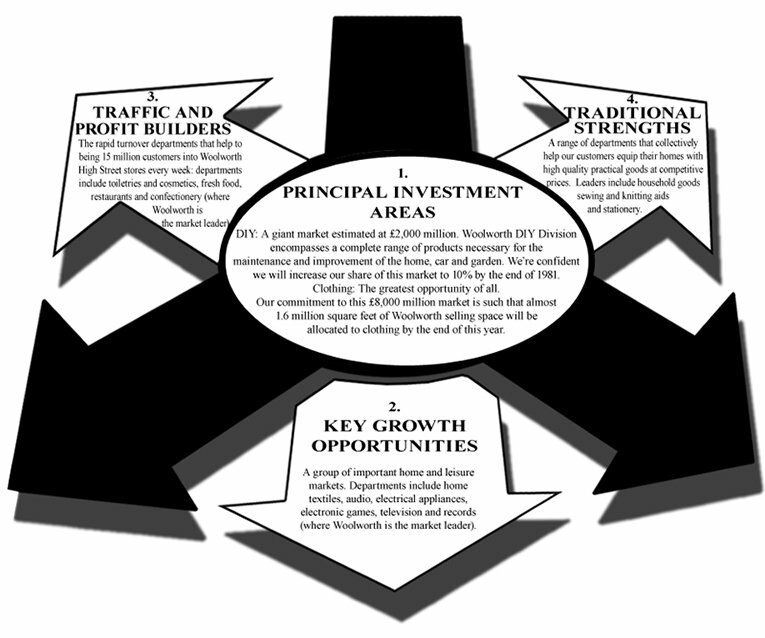 While investors may be given an indication of the direction of travel, any plans are traditionally kept short on details until they have been carried out. Yet in 1979, faced with severe criticism from City Editors, Managing Director and Chairman Designate Geoffrey Rodgers decided to woo investors by opening the war chest and setting out what was inside. Under his leadership Woolworth went on the offensive, buying space on the City pages of leading newspapers to set out its plans for the future. There can be little doubt that Rodgers sincerely believed that his strategy was a winner, but was the move driven by vanity or necessity? 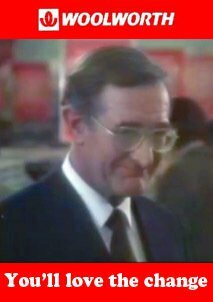 Many of his predictions about the future direction of retailing in Britain proved remarkably accurate, despite being ridiculed at the time. He certainly proved that it is hard to be a prophet in your own home town. 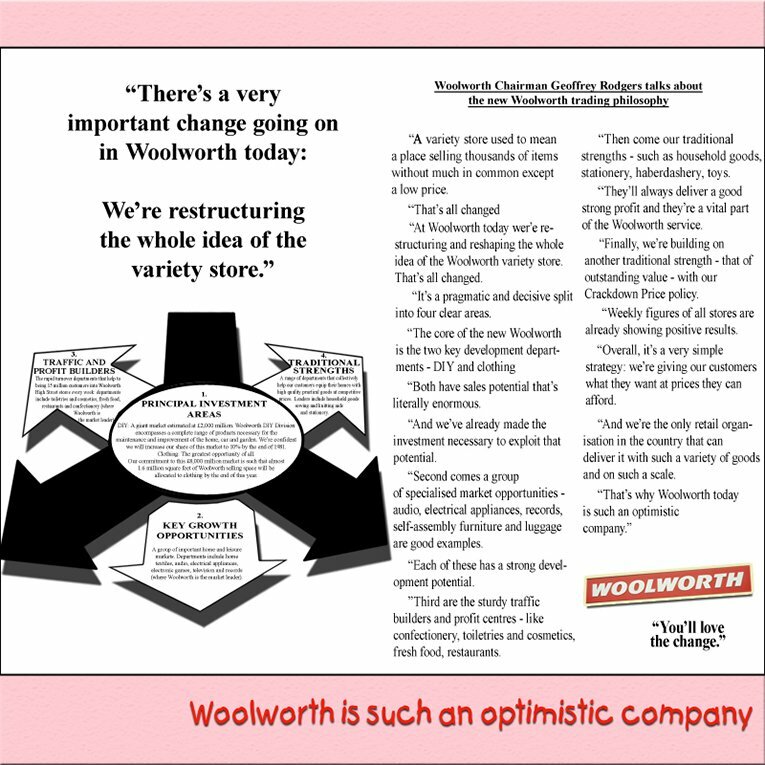 This page shows the new Woolworth Chairman-designate Geoffrey Rodgers' strategy to modernise the business in the 1980s. It is reprinted from advertisements placed in Britain's leading broadsheet newspapers, including The Times, The Financial Times and The Scotsman. The supremo also gave a number of interviews in which he predicted that in ten years time the firm's new acquisition, B&Q, would dominate the DIY market and Tesco and Asda would do the same in the grocery sector. At the time City pundits and the media ridiculed Rodgers for his views, but in retrospect his foresight about the market was remarkable. The campaign is believed to have drawn attention to the break-up value of F.W. Woolworth & Co. Ltd. and prompted the 1982 'management buy in' by venture capitalists. This set a very different course indeed. Fortunately for Rodgers, in 1980 social media was yet to be invented. When a video of his TV appearance (left) recently surfaced on YouTube, viewers considered him scary, nicknaming him Dr Death! We have enlarged the graphic from the left hand side of the advertisement to make it more legible, and reproduced this below.